Bill Belichick definitely isn’t known for his smiling or joy when he’s coaching for the Patriots, so this magazine shoot with his girlfriend is a big step. 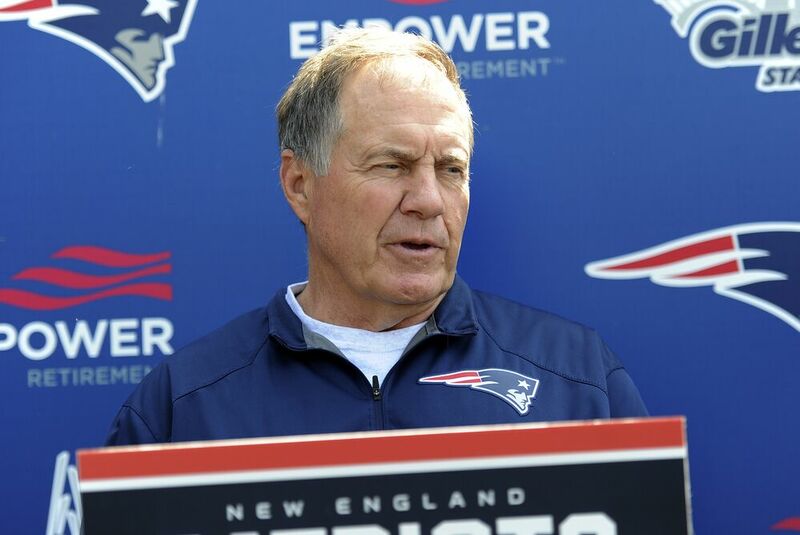 Bill Belichick is one of the most serious coaches in the NFL, and he’s mostly known for his rants against reporters and for never smiling, like ever. However, over the last few years, Belichick has opened up a bit publicly as his relationship with his girlfriend Linda Holliday has gained steam. He’s been photographed actually smiling, and he looks like he’s having a lot more fun in his life when he’s not on the field coaching the New England Patriots. In another big step toward Belichick opening up, he was photographed with Holliday in a nice little romantic photoshoot for a magazine in Nantucket, and the couple was deemed “America’s Winningest Team” on the cover. While it’s not a huge smile, catching a happy Belichick is almost like spotting Big Foot out in the wild, so this is big. The photos don’t stop there, as Belichick and Holliday loosen up a bit and Belichick doesn’t dress as formal in the more candid pictures. You can tell how uncomfortable he probably is on the cover, so these other photos provide a better look at the seven-time Super Bowl winning coach. Belichick has brought a lot of happiness to New England with five Super Bowl wins in his time as the head coach, and is often spotted out in Nantucket with his “Six Rings” boat, which will be renamed shortly and also accounts for his time with the New York Giants. It’s pretty weird to say Belichick’s magazine cover isn’t even the biggest part of New England’s magazine coverage recently, with Isaiah Thomas donning the cover of ESPN’s Body Issue in his natural habitat. However, this is still a big step for Belichick, and maybe he’ll ease up on his “No days off” approach to spend some time in Nantucket with his magazine.